Winning by a twenty or more margin in first level league soccer. Thrashing you opponent 5-0 or 6-0 is not usual. But sometimes it gets much, much better. Here are a number of league matches through history which ended in glorious victories with more than twenty goals scored. All of them at first level. Sometimes at these matches corruption was just around the corner, or at least the result caused suspicion. With so much doubt going on, it’s difficult to make this into a top eight. So I’ll just display these victories chronologically. In the early years of the Hungarian national league, MAC Budapest was one of the big clubs. Unfortunately, they never won the championship in those years. During the 1907-08 MAC did succeed in, just like the year before, scoring most goals. 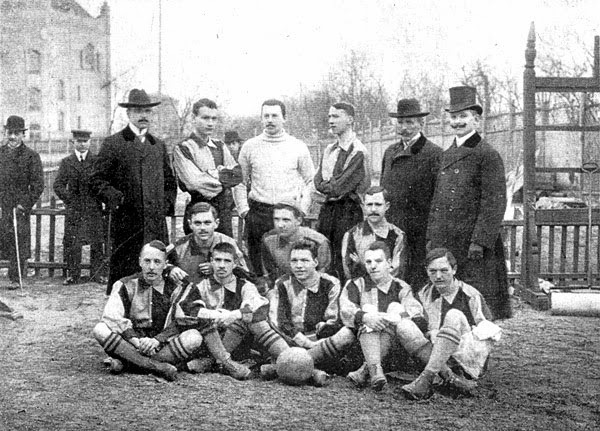 On November 24, 1907 MAC Budapest already won 16-0 against Budapesti AK. Four months later, the team scored 20 goals in an away match to Typográphia SC Budapest, who lost all but one of their 16 matches. 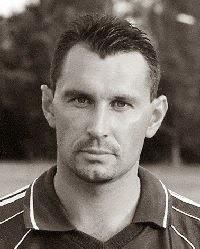 Goals scored by: Béla Krempels (6), Béla Kelemen I (6), Gyula Vangel (6), Dr. Gáspár Borbás (1) and Iván Medgyessy (1). While Austria was sucked into Big-Germany in those days, soccer was one of the few joyful events in Vienna. The league continued, although it was difficult to get eleven players. And getting them at the stadium. It is known that teams from Vienna walked for hours through the city to play an away game. In this match in 1941, Austria Vienna’s opponent LASK from Linz, had only seven players at the kick off. Coach Georg Braun (34 years old) decided to put his boots back on for once, and after half an hour one spectator also played along. The other LASK-players were travelling by train and arrived ten minutes from time, while LASK was already trailing 0-17. With eleven on the pitch, Austria Vienna scored another four goals to claim the biggest win ever in Austria’s top league. LASK protested, but the result stood. 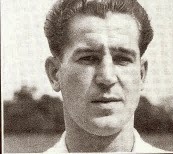 Goals scored by: Walter Rirsch (6), Josef Stroh (6), Müller (3), Franz Riegler II (2), Wilhelm Haag (1) and Johann Mock (1). Two own goals by LASK. After the Second World War, German soccer was divided into several districts, all called Oberliga. In the Oberliga South-West 1.FC Kaiserslautern were unstoppable. From 1947 until 1951 the club with brothers Fritz and Ottmar Walter won five league titles in a row. In those years victories with double digits were not uncommon for the club. So there was nothing smelly about this 20-0 defeat of hapless FSV Trier-Kürenz, who were relegated at the end of the season. Goals scored by: Ottmar Walter (6), Fritz Walter (4), Hans Christmann (4), Werner Bassler (3), Günther Grewenig (2). One own goal by FSV Trier-Kürenz. Just like Germany, Poland didn’t have a national league back in 1947. Clubs were divided into three regions, with the winners of each region playing a four match play-off. For Wisla Krakow, the 1947 league was an easy ride. They had won matches 5-0, 16-0, 7-0 (first match against Pogon Siedlce), 7-0, 9-0, and 9-1 before they played at home against Pogon Siedlce. Their top goalscorers Miecyslaw Gracz (34 goals that season) and Józef Kohut (31 goals) again did most of the damage in the 21-0 victory, with old gun Artur Wozniak also scoring five. Wisla Krakow won their group with a five point margin, but later lost the Polish championship to Warta Poznan in the play-off. When SUBT played Jong (in English: Young) Curacao on March 14, 1954, it looked like a normal league match. After ten minutes Bill Canword (later in life a soccer professional at NEC Nijmegen in the Netherlands) scored the first goal from a corner. Gomez soon made it 2-0. It all got wrong when the third goal by Heiliger wasn’t disallowed. Jong Curacao claimed it was offside. Referee Cachi Suarez had his doubts, linesman Van Rosburg was convinced it was a goal. After that, Jong Curacao’s manager Van Utrecht gave orders to stop playing and let SUBT score goal after goal. Referee Suarez knew what was going on, ended the match at 5-0 after 39 minutes, but went back on his decision. SUBT scored one goal after another and ended the match 32-0. Normally one would blame Jong Curacao’s manager Van Utrecht, as he had deliberately thrown the match. But newspapers in those days all focused on the referee. A man with so little self-confidence, simply wasn’t capable to be a referee. Note: scoring 27 goals in 45 minutes looks like a lot, but on October 31, 2002 Olympique de l'Emyrne from Madagascar scored 149 own goals in 90 minutes, protesting against a late penalty against them in a previous match. This way their rival AS Magenta won 149-0 and was crowned champion. Olympique de l’Emyrne was heavily punished for this behavior. Goals scored by Bill Canword (1), Gomez (1) and Heiliger (1). The other 29 goals are unknown. On May 27, 1994. FC Tevalte Tallinn played at home against Kolev Sillamäe. FC Tevalte had been a big spender during the winter break, trying to catch up with the two favorites for the title, Norma Tallinn and Flora Tallin. They bought three players from Norma Tallinn, Sergei Bragin, Andrei Borissov and Eduard Vinogradov. Opponent Kolev Sillamäe were at the bottom of the table. After 8-0 at halftime it all got much worse in the second half: 16 (!) more goals combined to a 24-0 trashing. The match ended with Kolev’s goalkeeper Konstantin Rubkov in tears and his team withdrawing from the league in embarrassment. Three matches later, FC Tevalte Tallinn was expelled from the league as allegations of bribery were getting louder. On the other hand, none of these allegations were ever backed up with evidence. So it also could be political, trying to make life easier for the biggest club in Estonia, Flora Tallinn. Goals scored by: Anatoli Novozhilov (10), Sergei Bragin (4), Maksim Gruznov (4), Konstantin Kolbasenko (2), Aleksandr Marashov (1), Andrei Borissov (1) and Sergei Serednitski (1). One own goal by Kolev Sillamäe. On their way to the away against SC Villa, the bus with Akol-players seemed to be stopped by Villa rivals Express. They wanted Akol to forfeit this last-but two league match of the season, giving SC Villa a 2-0 victory. Express was afraid SC Villa would trash Akol and would win the title on goal difference. Express failed. Some Akol-players did jump out of the bus, but nine players didn’t. This way Express’ attempt backfired; SC Villa had an easy afternoon and walloped Akol 22-1. During the investigation concearning this match, it got uglier by the minute. Express had payed Akol-players not to turn up for the game, SC Villa-defender Dan Obote on the other hand payed Akol-players to play. The Uganda FA decided to give SC Villa a 2-0 victory. After that, SC Villa won 2-0 against Kinyara in a normal match. This meant Express had to win with four or more goals against Top TV. They were doing just that, leasding already 2-0 before halftime, when Top TV coach Sam Ssimbwa decided to a walkout. So, the match was awarded 2-0 to Express, and SC Villa were champions on goal difference. 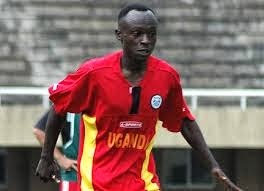 Not satisfied, the Uganda authorities started an investigation and summoned some Akol-players. Just minutes before testifying, Akol goalkeeper Peter Agong died. But the investigation went ahead and presented a report to the Uganda FA, the FUFA. As the results were extremely damaging for them, he FUFA decided to put in on a shelf and never look at it again. Goals scored by: Hakim Magumba (7), Philip Obwiny (5), other goals unknown. Arranged match. Brong Ahofu feared relegation. Rival Hasaacas did the same and won 19-0. Big victories are no surprise in the small league of Maldives. The last double digit victory was on July 30 of this year, when New Radiant beat AYL 10-0. Reaching twenty goals on the other hand is uncommon, as it happened only once. Back in 2009 Kalhaidhoo ZJ had already lost matches 5-0, 7-0 and 8-1 when they met VB Sports Club in Round 13 of the league. It ended 20-0, with Maldives’ best ever player, Ali Ashfaq scoring twelve goals. Ashfaq just turned 28 and has already scored more than 300 league goals, and 36 international goals as well. This year at the South East Asian Championship Asfaq scored six against Sri Lanka (10-0) and four against Bhutan (8-2). Goals scored by: Ali Ashfaq (12), Mohamed Hussain (2), Ali Umar (2), Abu Desmond Mansaray (1), Abdulla Haneef (1), Ahmed Niyaz (1) and Ahmed Rilwan (1). An absolutely splendid and interesting article.